Anne and her Jewish family hid in a secret apartment in Amsterdam from 1942 through 1944, when they were discovered by the Nazis. During those harrowing years, Anne kept a diary with her innermost thoughts and fears. She later died in a German concentration camp, but her voice has inspired millions of children across the world through several generations. David A. Adler's biography series is a beloved classroom tool for introducing the lives of important figures in history. 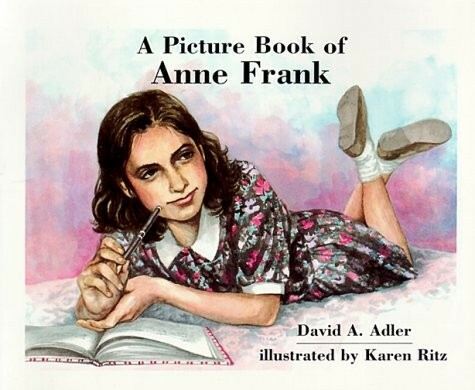 This entry addresses the difficult subject matter of the Holocaust in a way that children will understand.